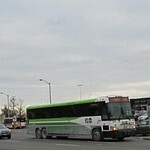 GO bus headed to Union Station departs the Cooksville GO station on Saturday morning. 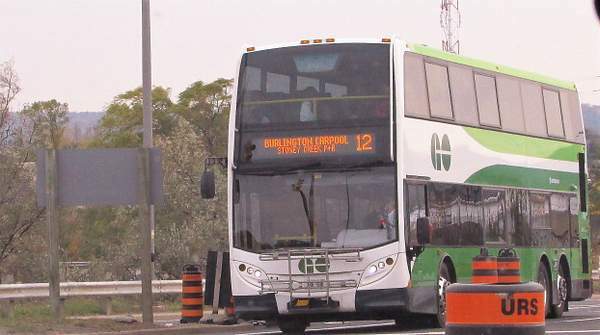 The "Milton Line" is covered by buses during off peak hours. This bus will travel along Hurontario and Dundas Streets to Dixie GO and then head downtown. 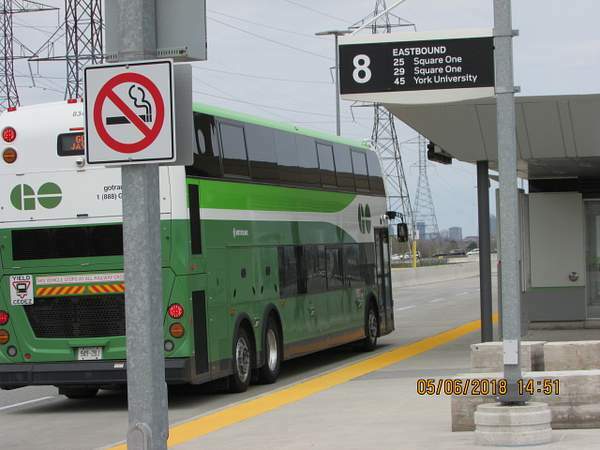 GO on the Mississauga Transitway. Winston Churchill station. 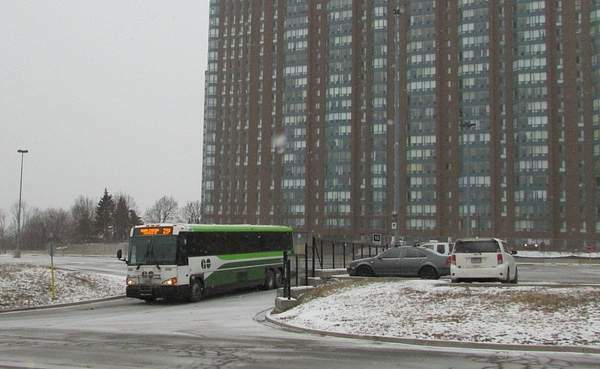 The afternoon off peak bus serving the Milton line has left the QEW and is on Queensway heading to Dixie Road due to traffic issues at the QEW-427 interchange.